Some point-of-interests in New York are just obvious. It’s featured in countless TV and cinema productions, flanked by some of the world’s most expensive square footage of real estate and simply never disappoints. Filled with activity year round, no matter which season, there are countless ways to enjoy the 843 acres of Central Park set in the heart of Manhattan. Stroll the twisting walkways, hire a bike, take a horse and carriage ride, people watch with a pretzel on a park bench, watch a filming of Sesame Street (or one of other numerous filming’s at any one time), paddle a boat on the lake or ice skate in winter. 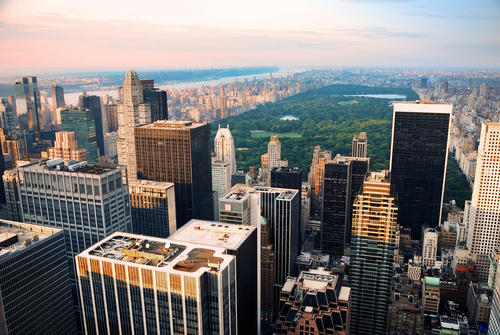 Which ever way you choose to enjoy Central Park, it’s a must visit for every tourist. 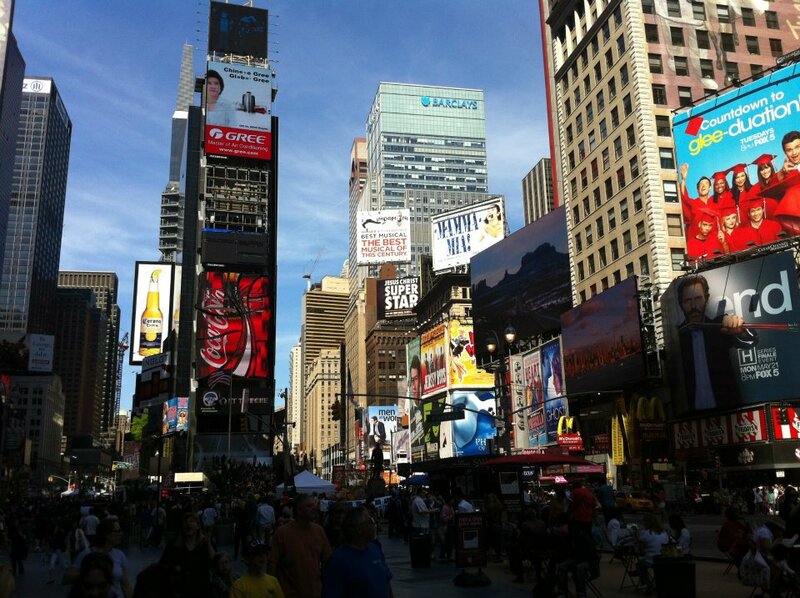 Potentially the largest tourist draw card to the city that never sleeps – Times Square. A hive of electric neon activity 24hours per day, the days are filled with big name shopping stores, dozens of restaurants and plenty of hotel options to rest your weary feet. When the sun goes down, the theatre crowd hits the streets by their thousands. Many theatres line the streets surrounding Times Square, playing to jam-packed houses nightly. 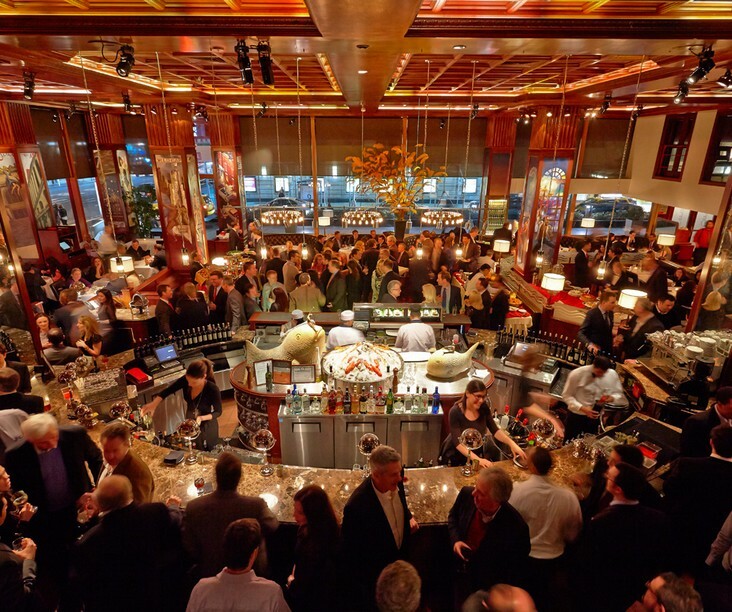 Enjoy a pre or post show dinner at the famous Sardi’s restaurant on 44th Street. Great food and service, reasonable prices and good old fashioned menus and service that hasn’t changed over the past 90 years. Food is serious business in New York City, with no visit complete without trying some of the famous delights made famous by the eclectic mix of inhabitants. And with Manhattan a tightly packed 59 square kilometres (23 square miles), with 1.6m inhabitants, you need to be good to stand out in this highly competitive and crowded food industry. New York pizza, hot-dogs, baked pretzels, doughnuts, pastrami and corned beef sandwiches, Waldorf Salad and of course, New York cheesecake and bagels are all the must try. Numerous boroughs and pockets specialise in different cuisines. Try Little Italy or Greenwich Village for authentic Italian, Lower East Side for Latin American and Jewish delights and Upper East Side for German, Czech and Hungarian. On top of the Chelsea Food Market is an elevated New York Central railway spur, decommissioned in 1980 and left to the elements for over two decades. Saved by a long-time Chelsea resident who partitioned for the area to not be demolished, the High Line today is a 1.5mile stretch of renovated public park space. The first section opened to the public in June, 2009, with the third and final section of the park opened in September, 2014. Roam the elevated walkways with locals and tourists, enjoy a meal in one of the many food outlets and markets and explore the gardens and water features that contrast against the busy, concrete streets below. 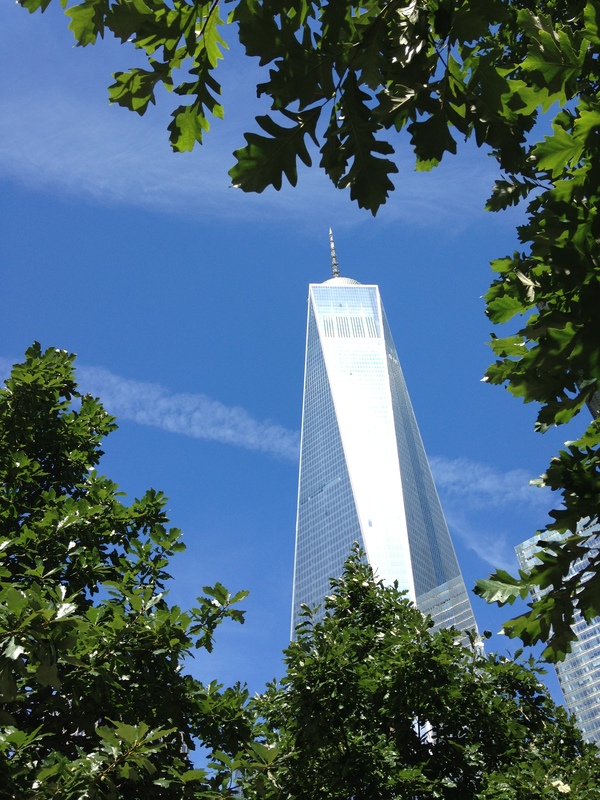 Colloquially known as ‘Ground Zero’, the site of the former World Trade Centre destroyed by terrorists in September, 2001, has reopened as One World Trade Centre. Nicknamed Freedom Tower, the new building rises to the same height as the original buildings, with the antenna on top of the roof raising the total height of the new tower to 1,776 feet, symbolising the year 1776 when the ‘United States Declaration of Independence’ was signed. Underneath the building sits a humbling, and confronting, memorial museum dedicated to those who lost their lives during the attacks. The memorial begins at ground level with a field of trees surrounding the original foot print of the World Trade Centre, where flowing water pours into a pool with the names of all victims etched into the perimeter. A young conductor in 1887 was searching for a new home for the Oratorio Society of New York. A chance encounter on a cruise ship to Europe, with prominent billionaire businessman Andrew Carnegie, led to something quite remarkable that not even Walter himself may have dreamed of. 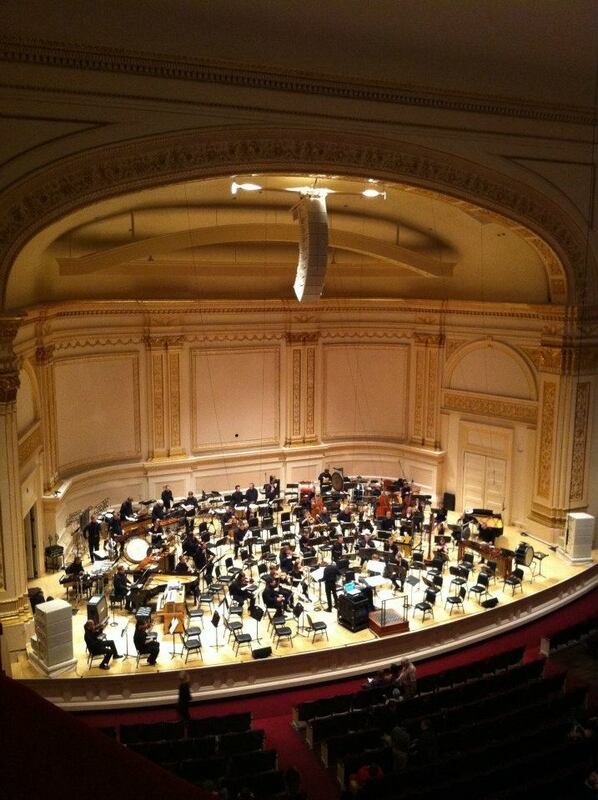 Opened in 1891 to a 5-day music festival, with guest of honour Pyotr Ilyich Tchaikovsky, conducting Marche Solennelle, today Carnegie Hall is a non-profit music organisation hosting many concert and shows throughout the year. The beautiful Italian Renaissance building exterior reflects the era style of buildings and is located at 57th Street and 7th Avenue, just a few blocks from Central Park. Standing tall on Liberty Island in New York Harbour, Lady Liberty is a symbol of freedom and long the beacon of a new life for European immigrants. 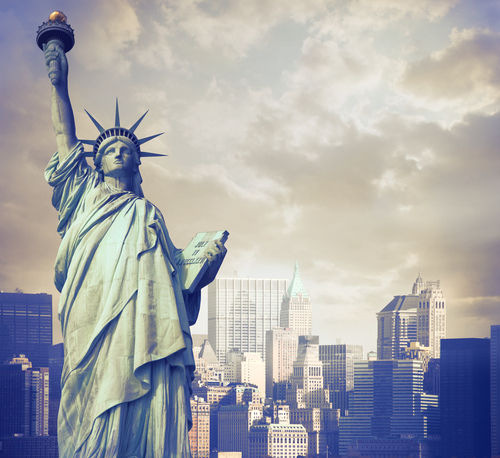 A gift from the people of France in 1886, Statue of Liberty was designated a UNESCO World Heritage Site and once described as a ‘’masterpiece of the human spirit’’. Access to Liberty Island is by paid ferry only, although there is no charge to enter the island or tour Lady Liberty. Visitors wanting to climb the internal staircase to the crown’s lookout, must reserve tickets in advance. Only 240 people per day, in groups of ten, are permitted daily to climb the staircase to help preserve and protect the aging copper statue. This iconic New York location, is more of a destination to itself. The most visited location in America, Grand Central teems with thousands of tourists and commuters each day. Tours are offered daily covering the lesser known history of the building and covers the many architectural points of interest. The rise of New York City in the early 1800s drew large crowds in trade and banking sectors. Growth fuelled prosperity; and prosperity fuelled more growth. Today the building houses 68 shops and 35 places to eat from the quick bites of Frankie’s Hotdogs On The Go and Magnolia Bakery, to an oyster bar and Michael Jordan’s 5-star Steakhouse. Events are hosted throughout the year. There is little more quintessentially American than taking in a ball game. And arguably the most famous baseball stadium in the world, is Yankee Stadium located in The Bronx. Owned by the New York Yankees baseball team, the new and most expensive baseball stadium to ever be built, re-opened in 2009 with a modern and advanced facility. The original stadium built in 1923 is located just one block north. The stadium’s exterior resembles that of the original stadium, with the interior sporting new facilities and an increased floor space of 63%. With seat capacity of 50,000, the stadium has 4,300 club seats and 68 private booths to indulge in. The easiest way to access the stadium from Manhattan is by subway or train. Stadium tours operate year round and a popular place for kids birthday parties. For the history buff, this 18th Century home has an interesting and storied past. Built in 1765 by Roger Morris, a British military officer, the building is now on the National Historic Landmark Register, located in the Manhattan borough of Washington Heights. If the walls could talk, they would tell tales of revolutionary proportion. Used as the headquarters for both sides of the American Revolution, then General George Washington, used the premises in 1776 as his temporary headquarters after his army was forced to evacuate Brooklyn Heights following the loss to the British in the Battle of Long Island. Today it’s a house museum open to the public for tours, which must be booked in advanced by contacting them directly for advance registrations. I want to go to New York during the holidays. I want to visit Grand Central with my family. I love to learn more about their history and architecture. I also want to try eating at Michael Jordan’s 5-star Steakhouse. I think your blog is very interesting. I have learned a lot from it.